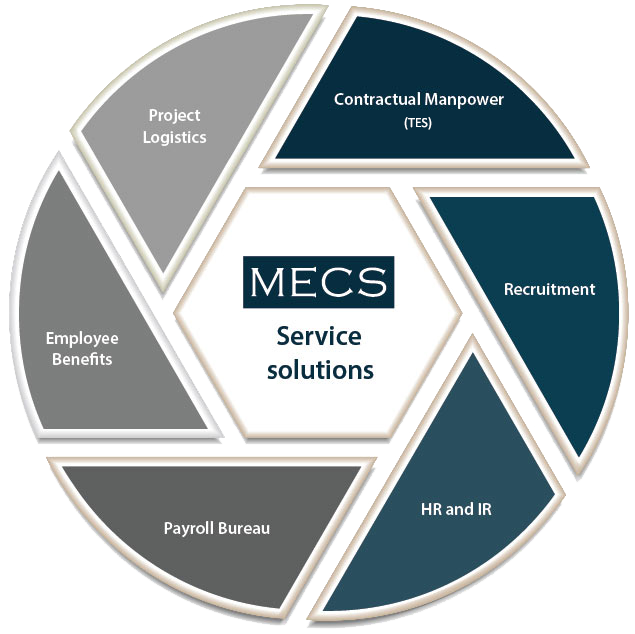 As a company offering project support globally since 1981, MECS is well positioned to react effectively and timeously to the demands of manpower management. We offer an integrated human resources solution to our clients' executive management, with in-house expertise that deliver on the demands of managing a workforce, based around six key services. proposing an encompassing manpower service that supports our clients' projects and creates operational flexibility for the different phases of the project cycle.